The company is listed on Euronext Paris and on the OTCQX market via an ADR (American Depository Receipt) program. Danone is present in over 130 markets and generated sales of €22.4 billion in 2015, with more than half in emerging countries. In 2015, Fresh dairy products represent 50% of the group's total sales, Early Life Nutrition 22%, Waters 21% and Medical Nutrition 7%. The original company bearing the corporate name was founded in 1919 by Isaac Carasso, a migrant from Salonica of the Ottoman Empire, in Barcelona, Spain as a small factory producing yoghurt. The brand was named Danone after Danon, the nickname of his son Daniel Carasso. Ten years later, the company moved from Spain to France, and its first French factory was built. During the German occupation, Daniel Carasso moved the company to New York to avoid persecution as a result of his Jewish faith. In the United States, Daniel Carasso partnered with the Swiss-born Spaniard Juan Metzger and changed the brand name to Dannon to sound more American. In 1951, Daniel Carasso returned to Paris to manage the family's businesses in France and Spain, and the American business was sold to Beatrice Foods in 1959; it was repurchased by Danone in 1981. In Europe in 1967, Danone merged with Gervais, the leading fresh cheese producer in France, and became Gervais Danone. Another branch of Danone descended from industrial glassmaker Boussois-Souchon-Neuvesel (BSN), which was founded by the family of Antoine Riboud. After a failed attempted takeover battle for its larger rival Saint-Gobain, Riboud transformed it into one of Europe's leading food groups in the 1970s through a series of acquisitions and mergers, including the 1973 merger with Gervais Danone. The research center of Danone in the business cluster of Paris-Saclay, France. In July 2007, it was announced that Danone had reached agreement with Kraft Foods Inc (now Mondelēz International) to sell its biscuits division, including the LU and Prince brands, for around €5.3 billion. Also in July 2007, a €12.3 billion cash offer by Danone for the Dutch baby food and clinical nutrition company Numico was agreed to by both boards, creating the world's second largest manufacturer of baby food. Danone acquired the Unimilk group's companies in Russia in 2010 and the Wockhardt group's nutrition activities in India in 2012. In mid-February 2013 Danone announced to cut 900 jobs or about 3.3 percent of their 27,000 Europe workforce. 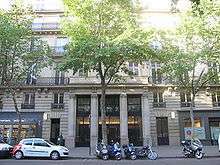 Danone has its head office in the 17 Boulevard Haussmann building in the 9th arrondissement of Paris. Previously the company's head office and its 500 employees were located in several buildings on Rue de Téhéran in the 8th arrondissement of Paris. In 2002 the head office moved to its current location. In some geographies, Danone has adopted a strategy of growth through joint ventures, particularly in fast-growing emerging markets. In its markets, Danone has built an attractive portfolio in emerging markets over the past 10 years which represents over 50% of its sales. Danone has continued to pursue this strategy and has recently signed joint ventures with companies such as Al Safi in Saudi Arabia (2001), Yakult in India (2005) and Vietnam (2006), Alquería in Colombia (2007), and Mengniu in China (2013–2014). In November 2005, Franck Riboud met Muhammad Yunus, founder of the Grameen Bank and later winner of the 2006 Nobel Peace Prize. The two men discussed at length their ideas on the development of poor countries and found that their areas of expertise were complementary. As a result, in 2006, the Grameen Bank and Danone form a company called Grameen Danone Foods, a social business in Bangladesh. Grameen Danone Foods Ltd. produces a yoghurt called Shokti Doi containing protein, vitamins, iron, calcium, zinc and other micronutrients aimed to fill nutritional deficits of children in Bangladesh. Shokti Doi is sold for 6 euro cents, a price that studies found to be affordable for the poorest families. Grameen Danone Food's primary aim is to have a positive social impact. Its pursuit of profitability is based solely on criteria such as improving public health, creating jobs, reducing poverty and protecting the environment. Profits earned by the company are re-invested in expanding and running the business. In March 1996 Danone signed an agreement to purchase 20 percent of the Strauss Group, Israel's second largest food manufacturer. Under the agreement, Danone purchased about 20% of Strauss Dairies (today Strauss Health division) in Nahariya. Since the 1970s, Strauss Dairies had a series of partnership and knowledge agreements with Danone. Danone has invested in China since 1987. It is one of Danone's top 5 markets and Danone's four business lines are present in China: fresh dairy products, waters, early life nutrition, medical nutrition. In 2009, an amicable agreement was reached between the two parties. Danone left the Danone-Wahaha joint venture and sold its shares (51%) to its former Chinese partner. In 2016, Danone is the number 1 company on the Chinese bottled waters market, with its brands Mizone, Robust and Health. On 31 October 2014, Danone, Mengniu and Yashili announced that they had signed an agreement allowing Danone to take part in a private placement by Yashili totalling €437 million, at a price of HK$3.70 per share. Upon completion of the suscription, Mengniu and Danone respectively held 51.0% and 25.0% equity interest in Yashili. On 18 June 2010, Danone partnered with Unimilk, one of Russia's main milk producers. Danone and Unimilk merged their fresh dairy products activities in Russia, Ukraine, Kazakhstan and Belarus. The joint-venture gave birth to the number one dairy products company in this region. Russia became one of the five most important market for Danone. On July 2014, Danone announced the acquisition of a 40% interest in Kenya's Brookside, East Africa's leading dairy products group. On 25 October 1972, Antoine Riboud, then-CEO of Danone, pronounced the "Marseilles speech". In an environment characterized by social tension and environmental concerns, he shared his thoughts on reconciling business growth and social responsibility to an audience of industry leaders. In this speech he became the first CEO who claimed that business and human developments are closely interrelated and form a single whole. These ideas were very disruptive at the time and laid the ground to Danone’s dual project (economic and social). The Danone Institute is a non-profit organization established in 1991, to promote research, information and education about nutrition, diet and public health. The first Danone Institute was founded in France in 1991 by Danone. The company decided to develop and spread knowledge about nutrition and diet, and was seeking to encourage research on these fields. Danone therefore wanted to create an independent and transparent non‐profit association to promote public health. The company set up its first Institute in 1991 in Paris (France). Danone brought together international eminent scientists, nutritional experts, educational professionals and Danone representatives. Nowadays, the Danone Institute still gathers nutrition scientists together toward education goal for a healthier tomorrow. The president is an independent scientist. The Danone Institute focuses on research. It supports researchers or research teams in the fields of nutrition, diet and health. Among its purpose, the Danone Institute aims at increasing nutrition knowledge among medical professionals, educators and parents. The goal is to develop programs which address local population health and nutrition issues. This organization is devoted to noncommercial activities, and is free to use funds provided by the group as it wishes. Little by little, Danone opened several Danone Institutes around the world and set up an international network of local institutes. Today, more than 200 renowned experts in diet and nutrition are involved in this international network. This award is considered as a Nobel prize for nutrition. It is modeled after renowned scientific awards and is one of the most respected awards within the field of nutritional research. Many leading scientists received this award, that recognizes their accomplishments. The jury consists of up to 9 members including one member of the Fondation pour la Recherche Médicale. 50% of the jury members come from the Danone Institute International or the Danone Institutes. The jury selects one winner by a secret vote. In case of a tie, the Chair’s vote counts as two votes. Competition is tough. For instance, the Danone Institute International selected in 2007 Friedman through a process involving more than 650 applicants worldwide. Candidates must be employed by a not-for-profit institution and actively involved in research. Laureates are chosen after an independent and international selection procedure. In 2012, the Danone Institute International in collaboration with the American Society for Nutrition (ASN) organized an international working group to examine the health effects of yoghurt. They communicated their scientific conclusion to health care professionals and the public. One year later, the ASN and the Danone Institute International joined forces to launch the first global summit on the health effects of yoghurt. This event aims at evaluating the state of science as concerns yoghurt consumption and public health. The alert was lifted on 28 August when New Zealand Ministry for Primary Industries concluded after several weeks of tests that there was no Clostridium botulinium in any of the batches concerned. None of the many tests conducted by Danone before and after this period showed any contanimation. On 8 January 2014, Danone announced its decision to terminate its existing supply contract with Fonterra and make any further collaboration contingent on a commitment by its supplier to full transparency and compliance with the food safety procedures applied to all products supplied to Danone. Reports suggested Danone could be seeking as much as €300 million in damages from Fonterra. 1 2 3 4 5 "Registration Document 2015" (PDF). Danone. Retrieved 17 June 2016. ↑ "Fresh dairy products: our brands". Danone Group. Retrieved 21 September 2008. 1 2 3 SUPERFOOD FOR BABIES: How overcoming barriers to breastfeeding will save children's lives, Save the Children (UK version), 2013, Ch. 6 "breast-milk substitute companies facing conflict of interest," page 35 (47 in PDF), footnote 31 describing the survey includes " . . Within each city, 60 mothers of infants aged 0–6 months were interviewed (through randomised selection within the waiting areas) in one MCH Hospital, one level-3 comprehensive (the highest level in China) hospital MCH Division, one level-2 comprehensive hospital MCH Division – ie, 20 mothers with babies 0–6 months old from each facility were interviewed. . "
1 2 Newman, Melanie; Wright, Oliver (29 June 2013). "Exclusive: After Nestlé, now Aptamil manufacturer Danone is hit by breast milk scandal Danone accused of misleading mothers and misrepresenting UN". The Independent. London. Retrieved 30 April 2016. ↑ "Groupe Danone History.". Retrieved 3 October 2014. ↑ "Dannon History in the United States". Danone Group. Retrieved 13 June 2014. ↑ "History of Success: from bottles to beverages". Danone Group. Retrieved 11 April 2007. ↑ "Setting out to conquer Europe". Danone Group. Retrieved 11 April 2007. ↑ "Scottish & Newcastle acquires Kronenbourg in £1.7bn deal". The Independent. UK. Retrieved 12 April 2007. ↑ "European Buy-Outs: Italy's many privately owned businesses are welcoming private equity as a way to drive consolidation". Real Deals. 26 January 2006. Retrieved 12 April 2007. ↑ "Danone sells its UK biscuits to United". The Independent. UK. 24 July 2004. Retrieved 12 April 2007. ↑ "Heinz announced completion of its acquisition of the HP Foods Group from Groupe Danone S.A. for approximately $820 million in cash". Food & Drink Weekly. 22 August 2005. Retrieved 12 April 2007. ↑ Baker, Lucy (21 March 2000). "Toward the third millennium". Danone Group. Retrieved 11 April 2007. ↑ "Annual Report on Form 20-F". Danone Group. Retrieved 11 April 2007. ↑ "Danone mulls Kraft biscuit deal". BBC News. 3 July 2007. ↑ "Danone to Offer 12.3 Billion Euros for Numico". CNBC. 9 July 2007. Archived from the original on 30 September 2007. Retrieved 9 July 2007. ↑ "Danone Merges Russian Dairy Business With Unimilk". Bloomberg. Retrieved 18 June 2010. ↑ "Wockhardt Closes Deal to Sell Nutrition Business to Danone". WSJ.com. Retrieved 26 June 2012. 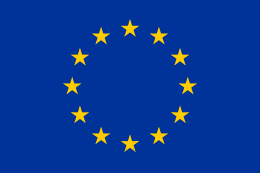 ↑ "Danone cuts European jobs on weak demand". 19 February 2013. ↑ "Contacts." Groupe Danone. Retrieved on 23 March 2010. ↑ "Danone Group's addresses." Groupe Danone. Retrieved on 26 July 2010. 1 2 "Danone : regrouper les salariés dans un même bâtiment." Le Journal du Net. Retrieved on 26 July 2010. ↑ "RICHARD BRANSON: Profit is not all that matters". Business Day. 5 March 2012. ↑ Ahmad, Reaz (13 March 2006). "Grameen teams up with Groupe Danone to set up food plant". The Daily Star. ↑ "Danone, Wadia scrap partnership in Britannia". LiveMint. 15 April 2009. ↑ "Danone buys Wockhardt nutrition biz for Rs 1,575 crore". Business Today. 3 August 2011. ↑ "Danone set to sue Wahaha over breach of contract". South China Morning Post. Hong Kong. 11 April 2007. p. B3. ↑ Elaine Kurtenbach (27 June 2007). "Wahaha-Danone Feud Highlights Pitfalls". Forbes. Retrieved 17 July 2007. ↑ "Danone and Wahaha vie for the last laugh". South China Morning Post. Hong Kong. 11 June 2007. p. B3. ↑ "current developments regarding Wahaha dispute" (Press release). Danone Group. 12 June 2007. Retrieved 21 June 2007. ↑ "Danone hopes to crack China with new dairy deal". Reuters. 20 May 2013. ↑ "Danone to double stake in China Mengniu to 9.9 pct for $665 mln". Reuters. 11 February 2014. ↑ "Danone swaps Dumex China unit for deeper ties with domestic dairy giant". Reuters. 24 July 2015. ↑ "Danone secures Russia expansion with Unimilk deal". Reuters. 18 June 2010. ↑ "Danone to take control of Centrale Laitiere". FT.com. 27 June 2012. ↑ "Danone to join Abraaj Group in Fan Milk International acquisition". CNBC.com. 24 October 2013. ↑ "Danone buys Kenyan dairy firm stake to add African markets". Reuters. 18 July 2014. ↑ "Death of Danone founder Antoine Riboud". Food Navigator. 6 May 2002. ↑ "The 1972 speech: a milestone of Danone's history turns 40". Down to Earth Danone. 16 November 2012. ↑ "Addressing malnutrition and access to safe drinking water through social business incubator". Danone.com. 17 June 2016. ↑ "Danone: funding social change around the world". The Guardian. 30 May 2012. ↑ "Businesses come together to address carbon capture and storage". Farmingfirst.org. 11 July 2011. 1 2 3 4 5 6 7 8 9 10 11 12 13 14 15 "The Dannon Institute: Celebrating 10 Years of Nutrition Education". Nutrition Today. 2008. 1 2 3 4 5 6 7 8 9 10 "The Danone Institutes". Journal of Pediatric Gastroenterology & Nutrition. 2006. 1 2 3 4 5 6 7 8 9 10 "The Danone International Prize for Nutrition and the Danone Institutes:one of Danone's commitment to health" (PDF). Danone International Prize for Nutrition. 2009. ↑ "Danone Institute grants Studpendia". Czech universities. 2005. 1 2 3 "Gökhan S. Hotamisligil receives 9th Danone International Prize for Nutrition". Harvard School of public health. 2014. 1 2 "OHSU Professor David Barker Awarded International Prize For Nutrition". Oregon Health and Science University. 2005. 1 2 "Danone International Prize for Nutrition Awarded to U.S. Scientist for Groundbreaking Research on the Impacts of Genetics and Biology on Obesity". CSR News. 2007. 1 2 3 4 "Danone International Prize for Nutrition 2016" (PDF). Danone International Prize for Nutrition. 2015. ↑ "Gökhan S. Hotamisligil receives 9th Danone International Prize for Nutrition". Harvard School of Public Health. Retrieved 11 December 2014. ↑ "THE DANONE INTERNATIONAL PRIZE FOR NUTRITION". Danone Institute. Retrieved 11 December 2014. ↑ "7th Danone International Prize for Nutrition – An important discovery rewarded". Social Media Release. Retrieved 11 December 2014. ↑ Rockefeller University: "Obesity researcher awarded Danone nutrition prize"
1 2 "ASN Sponsored Satellite Program: 3rd Global Summit on the Health Effects of Yogurt: Yogurt Consumption and Weight Management". American Society for Nutrition. 2015. 1 2 "The American Society for Nutrition and the Danone Institute International Collaborate to Examine Health Effects of Yogurt". PR Newswire. 2013. 1 2 "Danone Institute teams up with nutrition bodies to examine health effects of yogurt". Dairy Reporter. 2013. ↑ "Introduction to the Second Global Summit on the Health Effects of Yogurt". Oxford university press. 2015. ↑ "Yoghurt nutrition award". International Osteoporosis Foundation. 2015. ↑ "PepsiCo ne lance pas d'OPA sur Danone" (in French). Associated Press. 25 July 2005. Retrieved 11 April 2007. ↑ "La France veut mieux protéger ses entreprises face aux OPA" (in French). Boursorama. Associated Press. 27 March 2007. Retrieved 11 April 2007. ↑ "Le gouvernement interdira le rachat de groupes français dans les secteurs stratégiques" (in French). Boursorama. Associated Press. 29 August 2005. Retrieved 11 April 2007. ↑ "Pepsico travaille sur des projets de croissance externe en France". AOF (in French). Boursorama. 21 July 2006. Retrieved 11 April 2007. ↑ "Danone: Reprise des spéculations un an après les rumeurs PepsiCo" (in French). Associated Press. 23 June 2006. Retrieved 11 April 2007. ↑ "Eschewing Snacks, Danone Goes for Baby Food". Forbes. 9 July 2007. Archived from the original on 2007-11-10. Retrieved 9 July 2007. ↑ NZ's Fonterra finds botulism bacteria in dairy ingredient. Reuters, 3 August 2013. ↑ Danone wants full compensation from Fonterra after recall. Reuters, 2 October 2013. ↑ http://www.thegrocer.co.uk/companies/danone-terminates-fonterra-supply-deal/353466.article. The Grocer, 10 January 2014. ↑ Fonterra in talks with Nutricia owners. 3 News NZ. 2 October 2013.